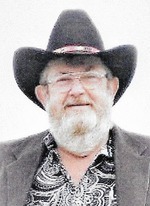 Dennis Ray Storm was called home to heaven on March 17, 2018. He was born July 18th, 1949 in Joplin MO. He was a lifetime resident (Chitwood) Joplin, Missouri. He is proceeded in death by his parents, Harold Storm and Dorothy (Haston) Storm, one sister Margaret (Joan) Robinson, one brother, Kenny E. Storm. Survivors include his wife, Cindee (Hodson) Storm, one son, Jeremy R. Storm, two grandchildren Jaden and Jaycie all from Joplin, MO. Nine step grandchildren, Mitch Kieth and wife Lynzi, Kole, Walker, Jaiden, Aiden, Kali, Kennedy, Jordan, Keaton. Three step great grandchildren, Mckenna, Emmett, Rhett, and a host of many friends. He had many hobbies, Dirt Track Racing, RC Hobby car racing, he enjoyed enjoyed going fishing and gardening. He attended Parkwood High School, Joplin, MO. He was a member of ROTC, member of Boy Scouts of America. He has been in the trucking business for the past 45 years. He became an owner operator in 1989. He was currently employed at Service Recycling as a truck driver, Joplin, MO. He worked for various trucking companies in his life. Sitton Motor Lines, evans and Associates Machine Shop, Oakly trucking, Wayne Daniels Trucking, Prime., Tamco Neiholt Trucking, Sonny Keiser dump truck service, Tionna Truck Lines, Butler, MO. Simmons Trucking, Gainsville TX. Liquid Transport, Kansas City, MO. He alsowas self-employed working as Dennis Storm Dump Truck Service, Home Repair Service and Flatbed Hauling. Dennis was a member of Smithfield Christian Church. Dennis was saved and baptized on December 5th, 2010. A Celebration of Life Service will be held Saturday March 31st at 11:00 a.m. at Smithfield Christian Church, Carl Junction, MO.